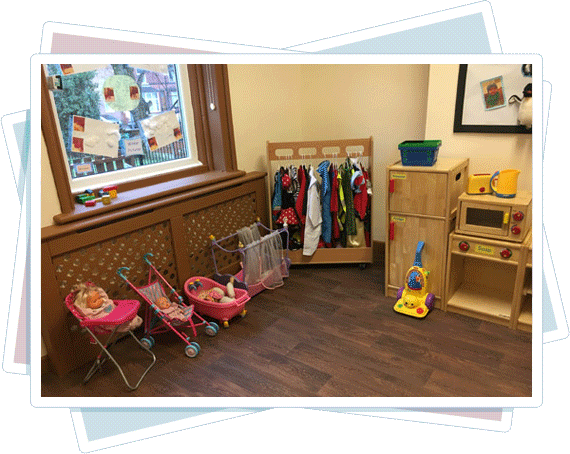 Our Baby unit caters for children from 6 weeks old up to around 2 years old and is arranged so that there are two groups with their rooms situated within the ground floor of the nursery. Children from 6 weeks up to 18 months, play within the rooms situated at the back of the nursery which have their own outdoor access, whilst children aged 18 months – 2 years old play within the rooms situated at the front of the nursery - sharing the outdoor access with the younger age group. 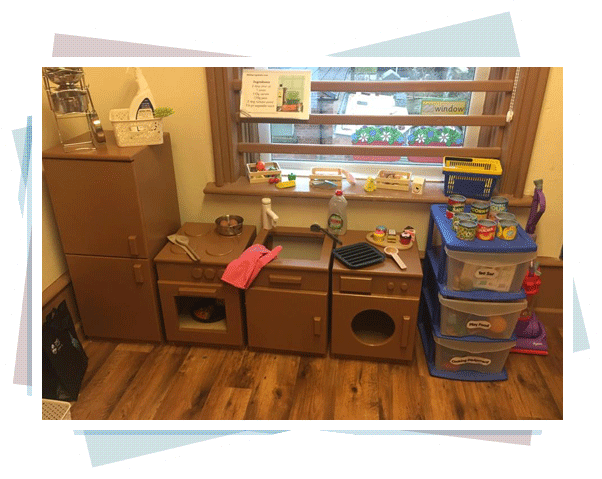 Both rooms are designed to create a warm, caring and homely atmosphere where staff can meet the individual needs of each of our youngest children. The Baby Unit is fully equipped with its own fridge and microwave. This is to ensure all bottles and food can be kept safely where staff can access them with ease. Within our safe environment the ratio for staff to children is, one member of staff to three children, this enables staff to work closely with all children to ensure that all their developmental needs are being met. Throughout the day your child will take part in a number of activities such as, sand, water, play dough and sticking with different materials to develop tactile development, there will also be plenty of time for your child to develop their physical development, both indoors and out, they can experience our baby gym’s, activity mats and smaller apparatus before they progress onto the larger equipment such as the slides and tunnels.Your child will be encouraged to develop their speech and language development with staff as they sing nursery rhymes or read simple stories, and interact with their peers. There will also be a variety of low music played throughout the day to encourage your child to respond to different sounds. All this much fun can sometimes be very tiring for little ones, so our dedicated and qualified staff will ensure that throughout the day, each child has a little nap if needed or maybe just some quiet time and cuddles! All children learn through play and discovery, as this helps to build confidence and independence which in turn helps your child to prepare and progress onto the next stage of development. This would only take place when both parents / carers and staff are confident that the child in question is ready for the next challenge ahead of them. 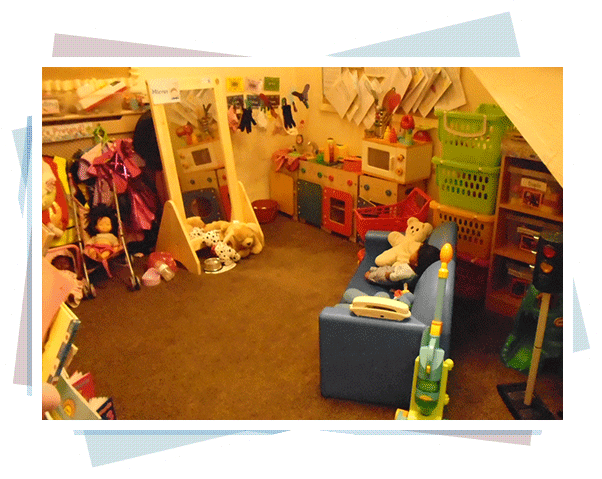 Our Tweenie room is where we cater for children aged 2 - 3 years, the area for these children is situated within the lower section of the nursery, again with its own access to our outdoor facilities. 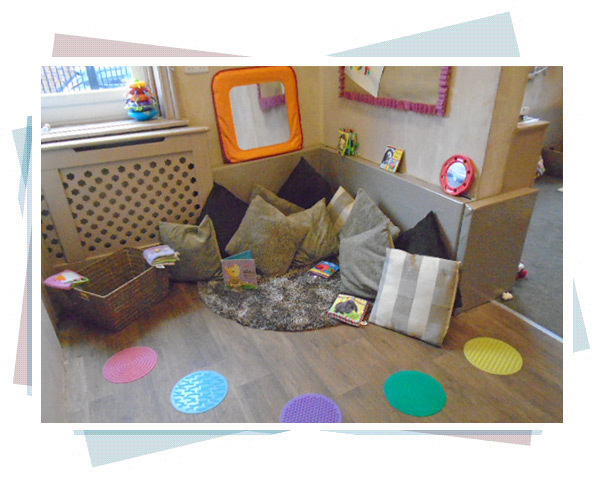 This area is made up of two rooms, the first one being our role play / book area and the other one is for table top activities, messy play and meal times.There is also a nappy changing area and a small toilet/sink to encourage these children to take the next steps. All children of this age are very inquisitive, curious and eager to participate in new and exciting games and activities. We promote this by providing the right balance of creative come table top toys for them to play with. Again, the children within this room have a wide range of activities for them to explore such as: sand, water, tactile trays, sticking, painting, drawing mark making and much more. The focus in all the rooms is ‘In the moment planning’, which is relatively easy to understand, the concept involves allowing child initiated, real time, learning through play based on capturing the interest of a child at the current time. There is no (or very little), forward planning or focus activities, this means the children gain as much educational knowledge as possible and throughout the activities our staff will provide opportunities for encouragement and support to enhance their speaking and listening skills through questioning and conversation. All children throughout the nursery work towards The Early Years Foundation Stage curriculum, each child is given a key person who observes, monitor and records their development, providing written observations, photographs and samples of work to celebrate their child’s achievements which is captured on our online learning journey system 'Learning Book'. These four aspects celebrate the skills and competence of babies and young children and highlight the interrelationships between, growth, learning, development and the environment in which they are cared for and educated. 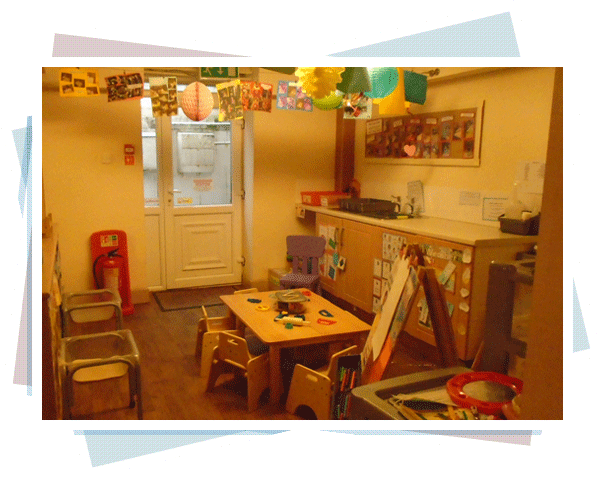 Our Pre-school room is situated on the first floor of our building and has just recently been re-furbished. We can cater for 16 children within this unit and the ratio for staff to children is: 1 member of staff to 8 children. Shauneen our Deputy Manager who runs our daily pre-school activities is also a qualified Early years teacher who specialises in Advice, Guidance and Counselling along with Relaxation and Mindfulness. Our dedicated and committed staff offer a wide variety of activities for the children whilst they are in their pre-school years such as: reading, singing, role play, writing area, maths area, construction area with a display area to keep special models and plenty of floor space for physical activities to take place. All rooms within the nursery follow ‘In the Moment planning’ This means we allow child initiated, real time, learning through play based on capturing the interest of a child at the current time. All rooms encourage parental partnership and will want to discuss your child’s interest at home to ensure we are supporting them at nursery too. All the children within the nursery will have their own online development file which support The Early Years Foundation Stage Curriculum and celebrate in your child’s achievements. You will be given a unique password to view your own child’s learning journey as often as you wish, we also offer one to one meetings with your child’s key worker throughout the year.